Out of bounds on the right side is a good reason to keep left with the tee shot. Two trees guard the front of a long narrow undulating green. 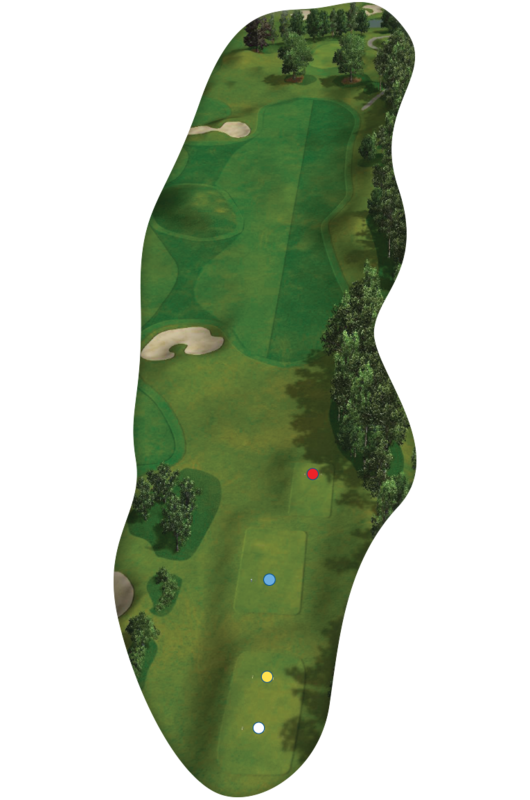 Don’t go left with your approach; a deep gully is waiting to swallow up the ball.